We constantly endeavour to elevate our metrics to secure the environment by combating the climate and energy crisis. We envision a 25 per cent reduction in the carbon footprint of ‘the drink in your hand’ by 2020. In line with this vision, we are working to reduce greenhouse gas emissions across our entire value chain by making comprehensive changes in our manufacturing processes, packaging formats, delivery fleet, refrigeration equipment and ingredient sourcing, and also by promoting the use of renewables, especially biofuels, across our bottling units. As more and more renewable energy is promoted for use for its business operations, Coca-Cola’s use of renewable energy across manufacturing and supply chain has shown a marked increase. Over the last three years, the use of biomass at the bottling units has increased to 48 per cent from 39 per cent as primary energy. In the beverage industry, the manufacturing plant directly controls only about 10 per cent of the activity of the entire supply chain. The distribution network, logistics, market operations are all beyond the control of the manufacturing plants. While it is beyond their control, the manufacturing units are now trying to find out ways to impact the rest of the 90 per cent of the supply change. Replacing the much more harmful refrigeration solutions that contain hydrofluoro carbons (HFC) is one step which has been initiated. HFCs are considered a thousand times more harmful than carbon dioxide and considered as one of the big reasons for climate change. 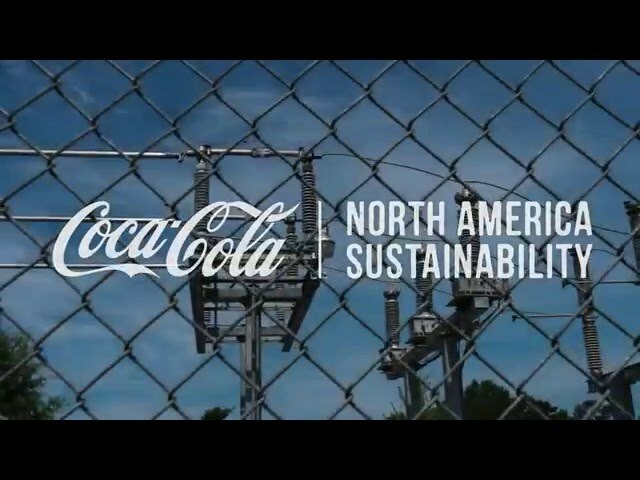 Coca-Cola has started the process of replacing the HFC-based refrigeration solutions to carbon dioxide based products. It is estimated that the entire business operations will run of the better solution after the first carbon dioxide based solution was initiated in 2015. The more harmful HFC-based refrigeration solutions will be replaced across the globe. The endeavour to cut down the consumption of energy per litre of Coca-Cola’s products range has also met with impressive success. According to data, the Energy Use Ratio (EUR) has come down by 18 per cent between 2012 and 2015, (from 0.79 to 0.65 Megajoule per litre). Overall energy consumption by these units too has shown a fall of 70 Terajoule (TJ) to 1878 TJ in 2015 from 1,948 TJ in 2013 to 1,878 TJ in 2015. This has resulted in decline of greenhouse gases by 8 per cent from its manufacturing units. 50 per cent of its primary energy needs is met through renewable energy sources. Now, through the Coca-Cola India Sustainability Update report, it is committed to reducing the carbon footprint of the drink in hand by 25 per cent by 2020. Coca-Cola’s effort will play its small part in the Government of India’s commitment to cut the emission of greenhouse gases by 2030 to the levels that were seen in 2005. India has also promised that by 2030 nearly 40 per cent of its electricity needs will be met by renewable sources like solar, wind or hydel power.